Internships help is us in many ways and give us an enriching experience where we develop and polish ourselves. Prashant who is an engineering student did his internship in West Bengal and changed himself for good. Internship is an important part of a student curriculum as we know about the processes, work environment and recent projects going on within an organization. The most important advantage of a good internship in a good organization is that a student gain the practical knowledge of what they have studied based on their projects. They get an exposure of applying their knowledge to the specific project and enriches the experience of learning. I have done my internship at Essar Oil Pvt Lmt., Durgapur, West Bengal. First of all Essar had a tremendous work culture. Employees and mentors were really supportive. 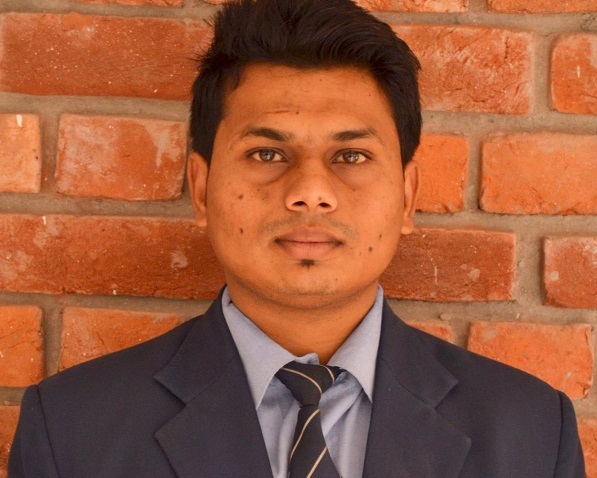 I was allotted Geology and Geophysics (G&G) department and my project title was “Reserve Estimation and Resource Migration” under the guidance of Dipanjan Maiti, Manager. During my internship I learnt about the Petroleum Resources Management System (PRMS). Petroleum Resources Management System is a fully integrated system which provide basis for classification of an area as reserve and resources. Reserves are categorized as proved (1P), proved plus probable (2P) and proved plus probable plus possible (3P). Resources are categorized as Contingent resources and Prospective resources. Study area provided to me was East block of Raniganj Basin, West Bengal. On basis of PRMS, I divided my area as proved, probable, possible reserves, contingent resources and prospective resources using Auto Cad software and then calculated original gas in place for knowing the reserve estimates. My internship was a prodigious experience. That’s not because of the company’s brand name but because of the knowledge I gained through my internship. I became more organized, met my deadlines on time, became more presentable and enhanced my communication skills. If Prashant’s experience motivates you, you can check the latest internships in West Bengal and Engineering internships. He is like a guide to me and an inspection too . on which basis they choose me to give intern job? Your application is evaluated on the basis of past academic performance and application questions. I’m a 3rd year Btech petroleum engineering student. How can I apply for the internship program in your esteemed company. Thank you for writing in. Please visit the career page of Essar oil and submit your resume- http://www.essar.com/apply.aspx. Do mention that you are applying for an internship. I am a student of UPES.Pursuing my btech in Geo Informatics branch of petroleum.I just want to know is there any scope of internship in your company for me? We do not have any information regarding internships at Essar Oil. Please visit their official careers page for details. Also, you may check out the petroleum engineering internships that are live on Internshala here – https://internshala.com/internships/petroleum%20engineering-internship and apply to the ones that suit your interest. Please visit https://internshala.com/internships/petroleum%20engineering-internship for the few petroleum engineering internships that are available on our platform. You may apply to the ones that suit your interest.